In Revolution for Dummies, Youssef recounts his life and offers hysterical riffs on the hypocrisy, instability, and corruption that has long animated Egyptian politics. From the attempted cover-up of the violent clashes in Tahrir Square to the government’s announcement that it had created the world’s first "AIDS cure" machine, to the conviction of officials that Youssef was a CIA operative—recruited by Jon Stewart—to bring down the country through sarcasm. There’s much more—and it’s all insanely true. 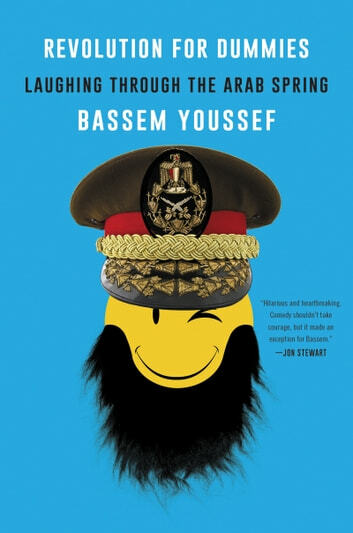 I learned much more about the Arab Spring and the situation in Egypt than I had known before, as told with humour in a tone that will resonate enough to make me jump into conversations passionately at parties. What more could I ask for?